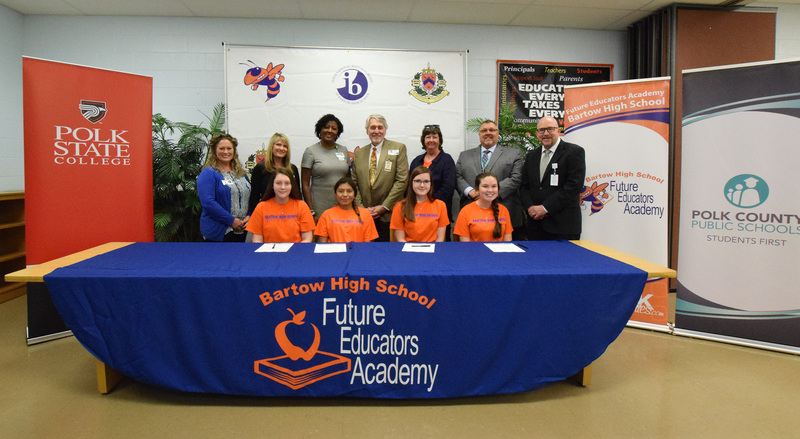 It was another momentous day for our ELITE teacher education program, as students from Bartow High began their journey to a career in the classroom. Earlier today, the students took part in a ceremonial signing event at Bartow High and formally announced their plans to join the ELITE program. Similar events were held last week at Haines City and Ridge Community high schools. ELITE (Establishing Leaders in Teacher Education) creates a faster way for Polk County students to enter a teaching career. PCPS developed ELITE in partnership with Polk State College as a local answer to a pervasive teacher shortage that is affecting school districts nationwide. Announced in August 2018, the program now has about two-dozen students signed up to participate when classes get underway at the three schools (Bartow, Haines City and Ridge) at the start of the 2019-20 school year. ELITE will allow students to work toward earning an associate degree from Polk State by the end of their fourth year of high school. Then, they will work toward successfully completing two years at Polk State to earn their bachelor’s degree in elementary education or early childhood education. With their bachelor’s degree, ELITE participants will be eligible for employment as teachers with PCPS. “I’ve wanted to be a teacher since I was a little girl. 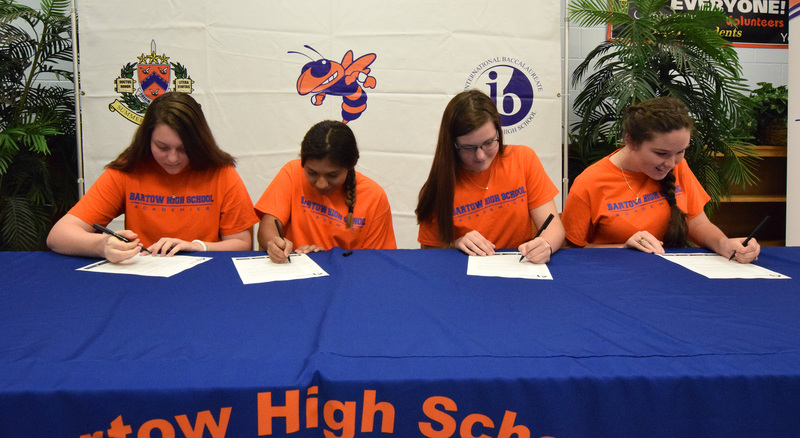 I like the idea of being able to stay in high school and do college classes,” said Bartow High’s Audrey Womble, a ninth-grade student who took part in Wednesday’s signing ceremony. She was joined by Tiffany Beam, a fellow ninth-grader at Bartow High. Click here for more information about ELITE.